Urban stormwater pollution harms our rivers, lakes, and streams, but local efforts in Harrisonburg and Rockingham County can make a difference. 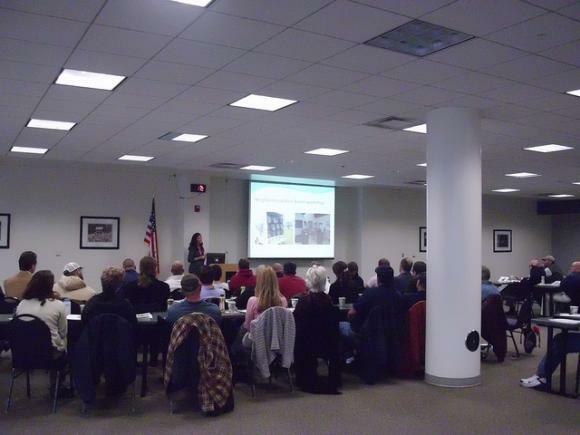 On November 1, 2011 the City of Harrisonburg, James Madison University, Shenandoah Valley Soil & Water Conservation District, and Virginia Conservation Network hosted the "Urban Water Quality Workshop" at James Madison University. Discussions focused on stormwater management techniques, urban landscape management practices, and the connection of these practices to water quality. 4.0 continuing education contact hours were provided for Virginia Nutrient Management Certification Renewals. Megan O'Gorek leads a discussion. 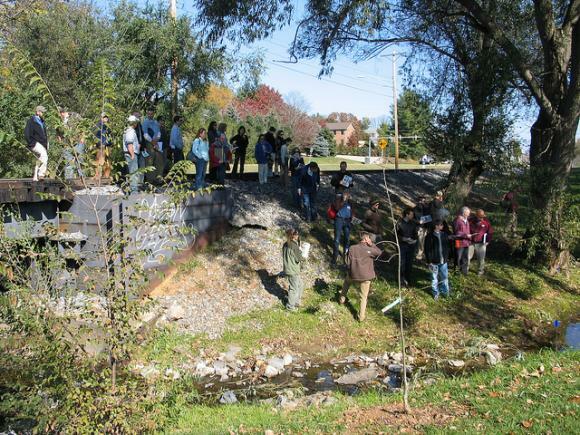 Attendees looking at Sieberts Creek Stream Restoration project. 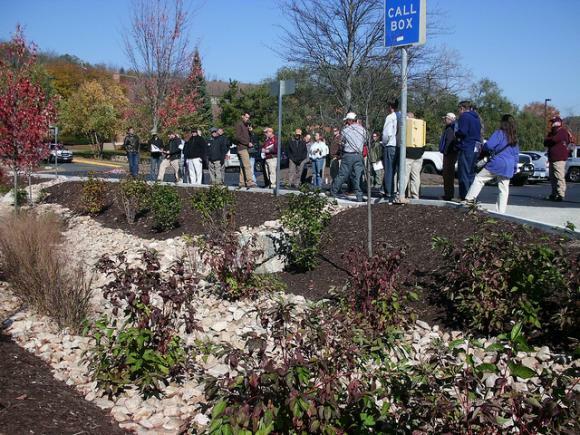 Bioretention at end of parking lot at James Madison University. 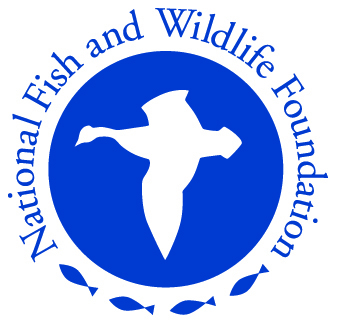 This workshop received funding via grant number NFWF-1559-0P03-PT from the Virginia Department of Conservation and Recreation (DCR) as part of a grant awarded to DCR from the National Fish & Wildlife Foundation (NFWF) frunds from the U.S. Environmental Protection Agency.